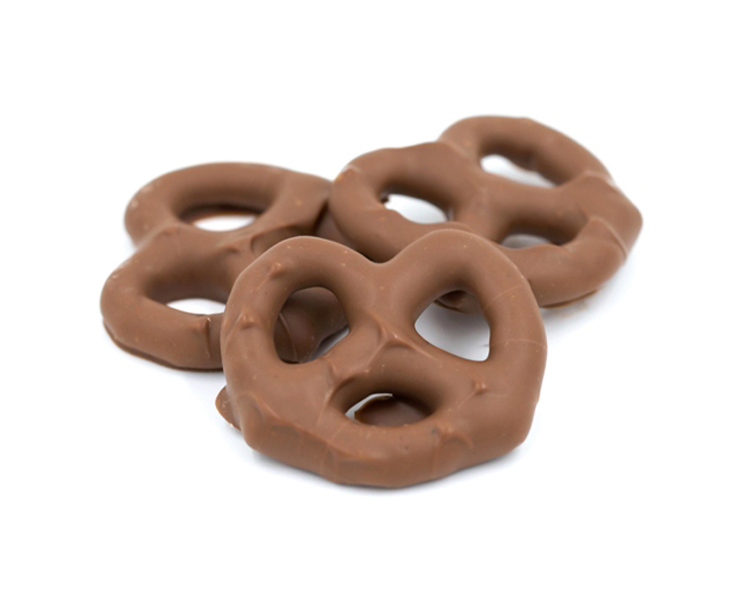 Here we take an ordinary pretzel and turn it into an extraordinary snack! The Mini Twist Pretzels come from Mikesell's in Dayton, Ohio. We dip them in creamy milk chocolate and package them in half pound gold boxes.